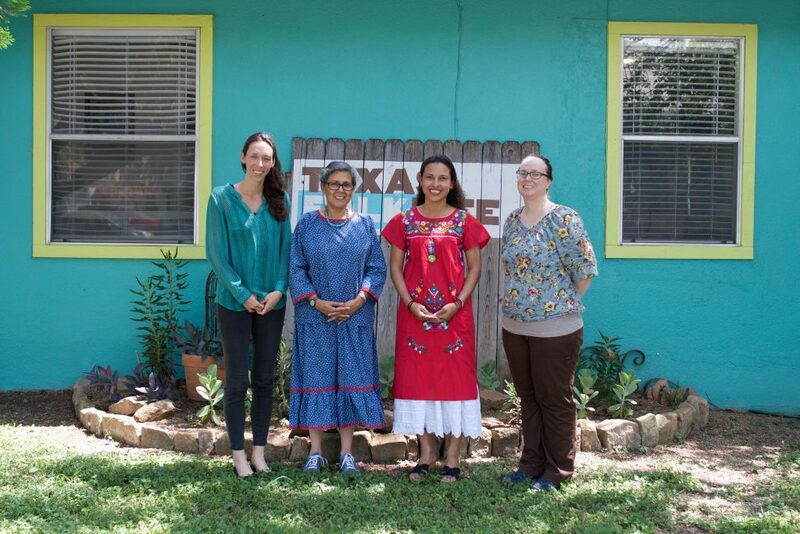 Last month, and for the fourth summer in a row, I was fortunate enough to serve as the Guest Instructor at Texas Folklife’s wonderful Summer Stories Institute (aka Stories from Deep in the Heart). 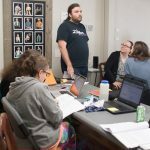 This programme offers “award-winning in depth folklore and audio documentary training for Austin and Central Texas high public school students and teachers”. When I started in 2014, Charlie Lockwood was the program’s director; now he’s Texas Folklife’s Executive Director. Charlie is an ethnomusicologist, as is Brian Griffith largely manages the Stories programme now. Brian also serves as lead instructor and not only is he an excellent and thoughtful teacher, but also, I just learned, a broadcaster in his own right. 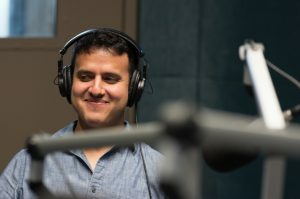 He’s just got a new radio show up and running called the People’s Republic of Austin and in it, Brian interviews local leaders, movers and shakers on issues connected with achieving social justice. It’s well worth a listen. Brian – who is not one to rest on his laurels – had changed some aspects of the Institute this year and they were all to the good. One was that it was scheduled from Wednesday of one week to Thursday of the next, instead of from Monday to Friday of just one week. That extra time really seemed to suit participants, instructors, and the producers, including Carlos Salazar, who help so much in knitting the various audio piece together. In addition, in the past, the main audio software taught and used was Audacity. Audacity is free and I know of some full time professional radio bods who swear by it. However, this year we tried out Hindenburg – an audio software package that is specifically designed for those making radio pieces (most audio software is primarily geared towards music production). The participants seemed to find it pretty intuitive and worked well with it. That meant we were more ahead of the game than by the time we had our annual narration recording session courtesy of KUT, overseen by KUT’s excellent sound engineer, David Alvarez, with whom it is always such a pleasure to be in the control booth. There’s always a theme to the stories produced during the Institute and this year it was traditional healing. The Institute ended with a party during which all five of the pieces were played and I felt so proud of our participants who did some fantastic work. You’ll be able to hear the results yourself in due course once they’re posted on Texas Folklife’s website. Oh, one more shout out. Kitty Murray was one of the teachers who took part in the Institute. Kitty is a crack photographer and created a fantastic visual record of the event. The photos on this page are all by her.